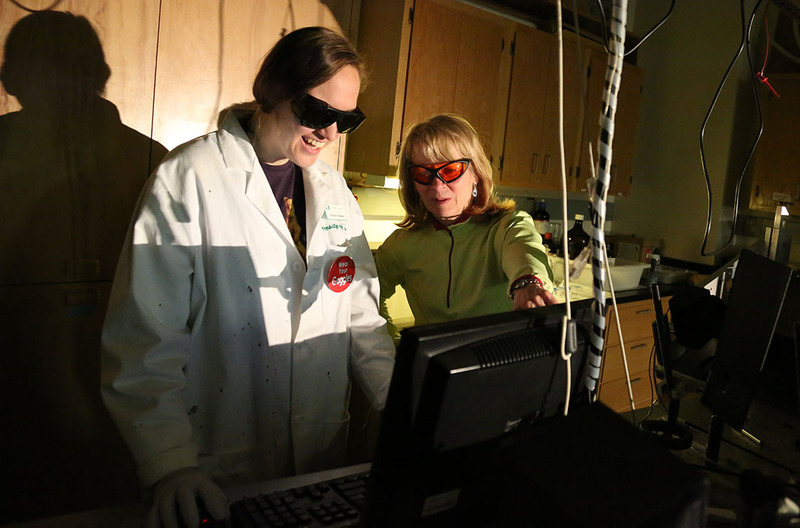 University of Oregon chemist Geri Richmond will spend another six years as a member of the National Science Board. Her renewal on the 24-member governing board of the National Science Foundation was part of a White House announcement in which President Trump intends to name five new appointees. Maria Zuber, vice president for research at the Massachusetts Institute of Technology, also is being reappointed. Richmond and Zuber, whose two-year term as board chairman ended this year, were initially appointed in 2012. Their terms had expired in May, but they remained consultants to the board pending new presidential selections. The National Science Board is responsible for shaping the agency’s strategic direction and approving its annual budget submission to the White House. The board establishes the policies of the National Science Foundation, approves new programs and awards, and serves as an independent body of advisers to the president and Congress on policy and education matters related to science and engineering. Richmond, who joined the UO in 1985, is widely recognized for her research in chemistry and materials science. The many discoveries that have emerged from her lab, she always has noted, reflect the hard work and dedication of her students. She also co-founded COACh in 1997 as a grassroots organization to promote careers in science, technology, engineering and math for women and minorities. The organization now is governed by an international advisory board of leading women scientists and engineers. Richmond, who earned a doctorate in chemistry from the University of California, Berkeley in 1980, has held a variety of leadership positions in the scientific community. She served as chair of the Department of Energy’s Basic Energy Sciences Advisory Committee from 1998 to 2003 and was the president of the American Association for the Advancement of Science in 2015. She has been the U.S. Department of State’s science envoy for the lower Mekong River countries in Southeast Asia since 2015. She was inducted into the National Academy of Sciences and elected as a fellow of the American Chemical Society in 2011. Earlier this year, Richmond received the 2018 Priestley Medal, the highest honor of the American Chemical Society, in recognition of her research and global outreach, and she was elected to a three-year leadership role in Sigma Xi, the world’s largest multidisciplinary honor society for scientists and engineers. On Nov. 17, Richmond was in Seattle to accept the Linus Pauling Medal Award from the Portland, Puget Sound and Oregon sections of the American Chemical Society. The award recognizes her fundamental discoveries related to the interactions that occur at the surfaces of oil, water and air. That work that has helped understand how environmentally and biologically important molecules adsorb and orient at liquid surfaces. The five new members to be appointed to the National Science Board are: Maureen Condic of the University of Utah; Suresh Garimella of Purdue University; Auburn University President Steven Leath; Alan Stern of the Southwest Research Institute; and Stephen Willard, chief executive officer of Cellphire Inc., a Maryland-based biotechnology company.